2 Bedroom Apartment To Rent in Cheltenham for £1,595 per Calendar Month. 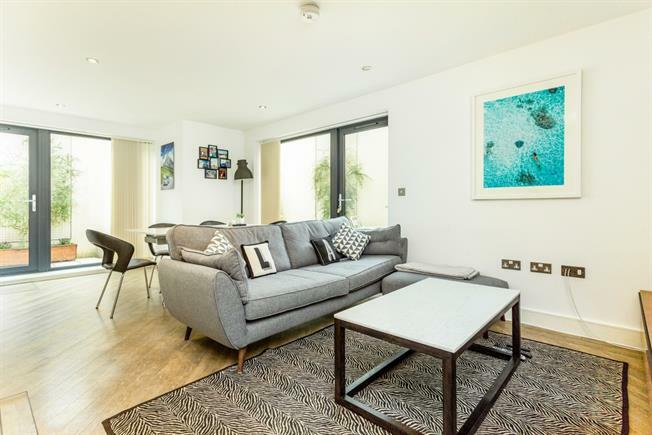 This modern, recently constructed, lower ground floor apartment has been meticulously designed to maximise both the natural light and its generous size. The apartment features a welcoming hallway which leads to its 'L- shaped' open plan living/kitchen and dining area with direct access to a wrap around private terrace area which is perfect for outside entertaining and bbqs. The fully equipped kitchen has a range of built in appliances which includes a dishwasher, electric oven and induction hob. The apartment boasts two good sized double bedrooms, each with built in storage, with the master bedroom having an en suite bathroom. There is a further bathroom and handy storage cupboards. The property is approached via a secure gated entrance and with a allocated parking space located to the rear of the building along with a cycle store.